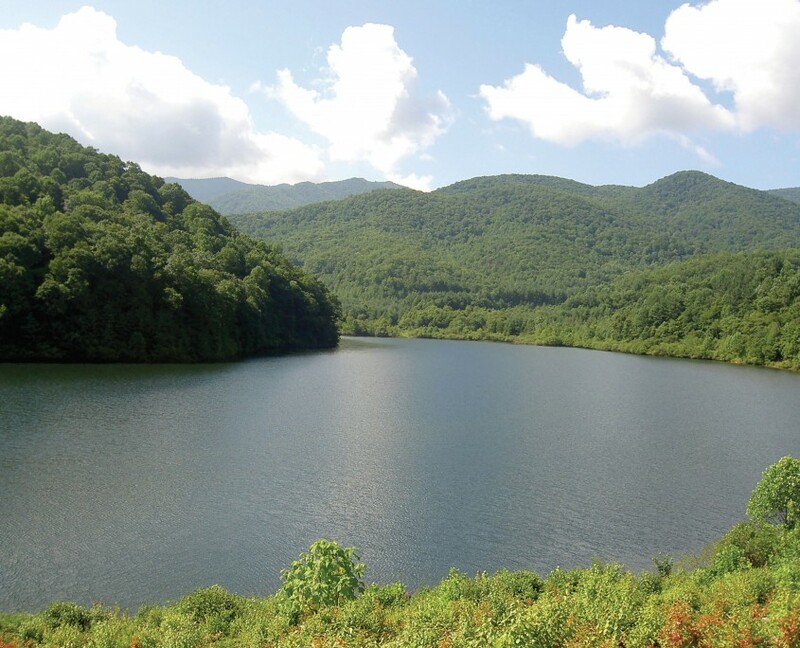 Waynesville Watershed | Protecting the Blue Ridge Parkway in N.C.
to conserve the last big chunk of land that sheltered Allens Creek, which feeds the city’s reservoir. The 50-acre lake sits at the bottom of a bowl of towering mountains. Galloway knew that every drop of rain that hit those mountainsides would eventually reach the town’s drinking water supply. More than a century ago, Waynesville’s leaders began buying properties within this watershed to ensure safe drinking water for the town’s residents. The problem for Galloway, however, was that a sizeable unprotected tract lay within the larger preserved area. The Waynesville watershed comprises 8,030 acres of forests. The fast-running headwaters that gurgle down every incline toward the reservoir are clean and clear. The trees are huge and wildlife is plentiful. Galloway turned to several organizations he thought could help. The groups hatched a plan to provide stronger safeguards for the entire watershed. During a sometimes arduous eight-year process, the project partners’ persistence and creativity enabled them to overcome numerous hurdles along the way. The Waynesville Board of Aldermen held public hearings and voted to donate the conservation agreement (easement), which occurred in 2005. The Waynesville Watershed has earned the highest quality ranking the state can assign a drinking water source.